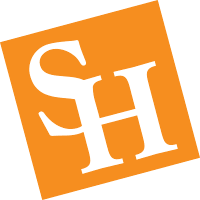 Facilities space at Sam Houston State University is an institutional asset, one that is growing increasingly expensive due to rising costs of new construction and facility operations. The Space Management Office is committed to the effective and efficient fulfillment of the institution's mission. To that end, we will implement and practice the Facilities Space Inventory Control Procedures described in the Texas Higher Education Coordinating Board (THECB) Facility Inventory Manual. Effective facilities planning and space management is critical in maximizing the use of available resources. Why the Focus on Facilities Space? It isn't always possible for everyone at a college or university to have all the space they want. Who doesn't want a bigger office, newer classroom, or better equipped lab? What is important, however, is that the institution have the space it needs. The right quantity and type of space is important for the university to successfully fulfill it's mission. Because we live in a time of limited resources, effective management of existing inventory is crucial. With the goal of maximizing the use of available resources at the forefront, communication becomes an indispensable tool for space management. A system to access your facilities space data has been created and posted to the menu as the Building/Room Directory. It comes complete with the option of downloading the data for any specific department. The Facilities Space Changes Reporting Form is also linked for reporting changes in space to the Facilities Planning Office. Timely information is necessary for effective space management. Transmissions are done monthly to the THECB. Space is dynamic and changes can occur quickly. Although our institution has methods in place to measure space and determine use, it takes collaboration between the space users and those who manage space to correctly track the quantity, functionality, and usage of actual space as an ongoing process. Facilities space . . .a valuable, essential, powerful asset. . . requires strategic thinking. Finances, technology, and personnel are already planned for in careful, deliberate terms. The time has come that the same attention is given to space. How we view space needs to be sensitively challenged and thoughtfully evaluated with the university's needs as the top priority. Nevertheless, it is important to understand that people develop close attachments to the space they occupy. Every effort will be afforded in the space management process to respect, understand, and engage individuals with a spirit of accommodation for basic human emotions regarding space.